This article was originally posted on The Jew and the Carrot (3/21/13), the food blog associated with the Jewish Daily Forward. Let’s face it: even without the charoset, we honor mortar on Passover. The food of this holiday isn’t—how can I say this nicely?—easy on digestion. Matzoh, potatoes, eggs, various proteins, cheese, it seems that most of what we eat is pretty heavy, and we often pay the price, feeling sluggish and fatigued, especially after the Seders. Yes, we are commanded to relax and to relish in our liberation, and the food of Passover makes this quite easy. 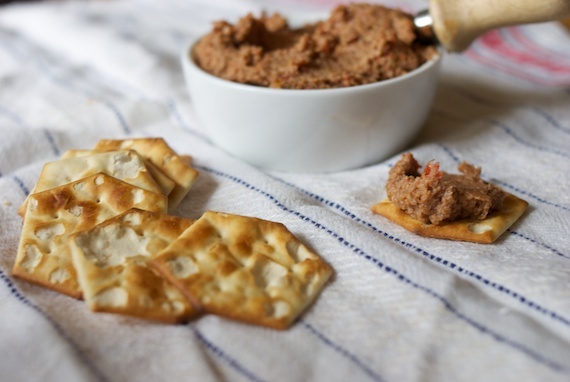 When thinking about lightening up some traditional Passover dishes to avoid this eventual fate, we don’t often think of charoset as something that can be modified, especially since it’s already so delicious. And how and why would we lighten up the food that symbolizes cement, right?! Well, by integrating a few key culinary concepts from traditional Chinese medicine (TCM), it’s easy to make charoset a bit more activating and invigorating, so it can do more for your body than just sit there in your belly, mortar-like. The Chinese rely on a framework that, on its most basic level, categorizes ingredients by flavors, characteristics and temperatures which reflect how the ingredients interact with the body. For example, some foods are warm and provide the body and digestion with heat, some are bitter which in TCM theory drains and dries out the body, and so on. When looking at traditional charoset recipes, especially the Ashkenazic version, most of the ingredients, like apples, wine and dates, are sweet. This is a good thing, since sweet foods, in TCM theory, are said to nourish the body. Therapeutically, sweet foods would be relied upon when one feels weak, is recuperating from an illness, or is has no appetite. However, when sweet foods are over-consumed by people who are not in need of their therapeutic effects, the abundance of sweet foods tends to overwhelm the digestion, resulting in sluggish digestion and heaviness. So, what can we do to modify the traditionally sweet charoset? For one, add spices. Sephardic versions of charoset tend to incorporate more spices than Ashkenasic versions, which is definitely a step in the right direction. Many spices in TCM theory are aromatic and therefore activate the digestion, which is super-helpful when eating something symbolic of concrete. Most spices are said to be warm and somewhat drying, which is helpful during large meals, as in TCM theory the body’s digestion operates optimally under warm and dry conditions. Check PLUS for spices! 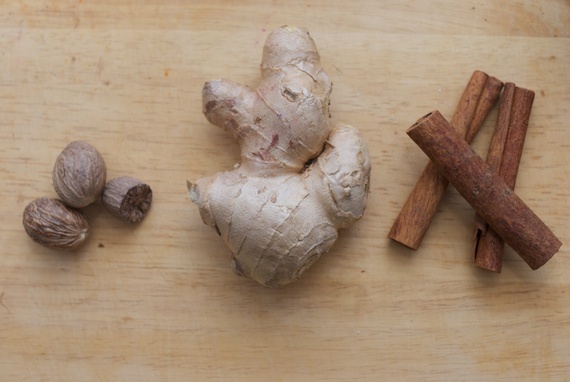 In this version I’ve used a healthy dose of three different spices which have been used therapeutically in Chinese medicine to stimulate digestion, dry dampness and restore movement in the center of the body. Adding an ample amount of these three activating spices helps to counteract the cloying nature of the other sweet ingredients, balancing the dish – the yin/yang of charoset indeed! 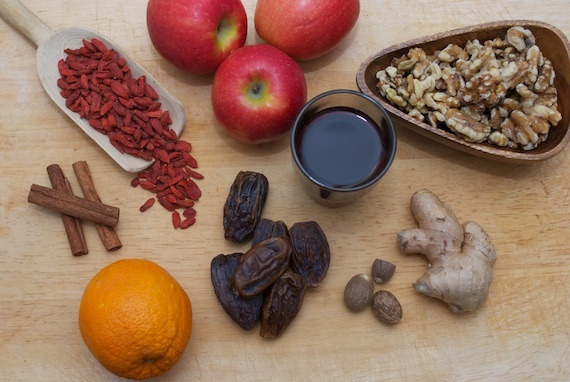 Another way to pump up the therapeutic benefits of traditional charoset is to add the dried “superfruit”, goji berries. 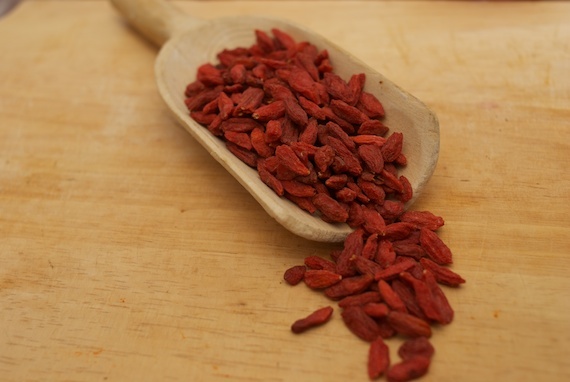 Goji berries have been used for thousands of years in Chinese cooking, the mild-tasting fruit being prized for its ability to nourish the most fundamental aspects of the body in addition to supporting vision and the energetic aspects of the liver and kidneys. Modern research on goji berries have demonstrated that goji contains many phytonutrients which act as antioxidants. Incorporating goji berries is a seamless addition, as charoset often uses other dried fruits like dates, figs and raisins. TCM categorized Goji berries as “sweet”, but they exhibit a unique ability to both nourish and activate, so they tend to be less harsh on digestion as other sweet fruits. In this recipe, I’ve softened the berries in dry red wine. Stewing in red wine is a classic TCM technique used to highlight the invigorating traits of certain herbs and spices; as we all know after a fun night out, wine invigorates! Finally, adding citrus zest is another way to liven up charoset. Citrus zest, and the zest of oranges and tangerines in particular, helps keep digestion moving, and is in traditional herbal formulas to treat bloating and abdominal distention. The peel of citrus tends to be slightly bitter, though, so adding it to the wine as it’s stewing the dates helps moderate this. 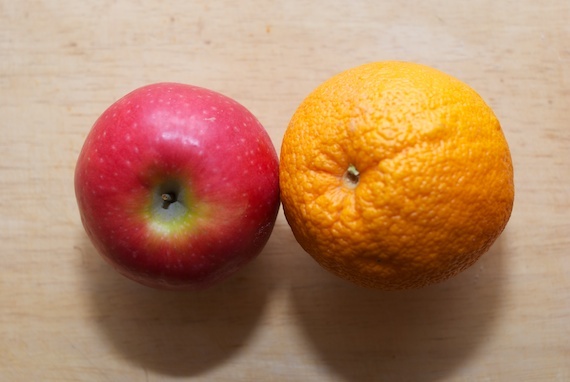 When using the peel of citrus, always try to purchase organic fruit since you’ll be ingesting any chemicals sprayed on the outside of the peel. Traditional Passover foods have been eaten around the seder table for generations and generations. Incorporating a few key ancient Chinese culinary concepts can help make charoset more than just symbolic. The nutritional content can be increased, and we can use the dish as an opportunity to balance the heaviness of the rest of the meal by activating digestion and supplementing the body. Although I’ve included a recipe below, I encourage you to explore the amounts of the spices, orange zest and goji berries and see what you like, and how you feel afterwards. The dish comes together with very little effort, so you can make a few batches, varying the spice profiles, throughout the week-long holiday. Enjoy and have a liberating holiday! For the recipe, please visit the original post on the Jew and the Carrot HERE.